There are reasons curling is often called “chess on ice,” and Capitol Hill native Carly Anderson is helping the U.S. with the mental aspect of the sport. 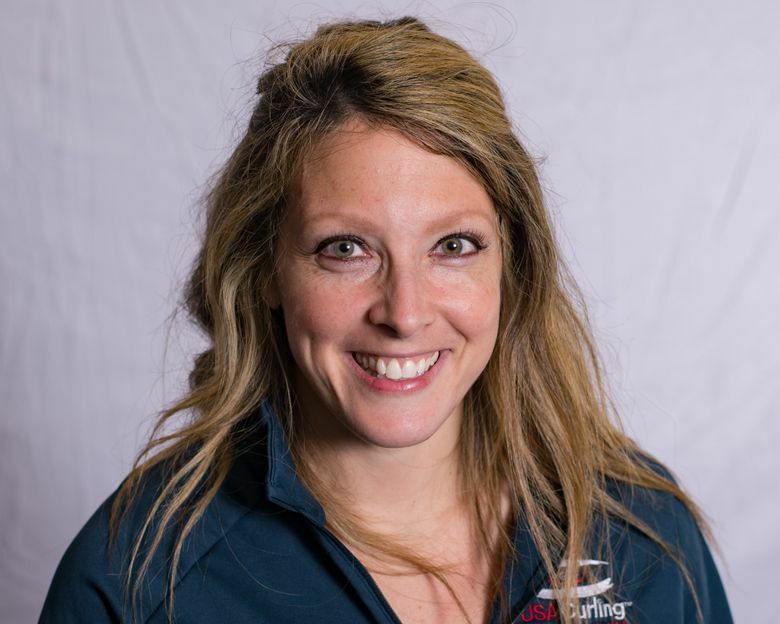 The sports psychologist who will be working with the U.S. curling team at the Olympics is a Seattle Prep graduate who used to buy ice cream and run other errands for John Wooden when she was a UCLA gymnast. Carly Anderson (nee Raab), 37, is a newcomer to curling but no newcomer to sports psychology. She has a doctorate and a thriving practice with her husband, Justin, in the Minneapolis suburb of Edina. Clients of their company, Premier Sport Psychology, have included the NBA’s Minnesota Timberwolves, the NHL’s Minnesota Wild and the University of Minnesota. That’s because curling has the mental pressure of golf with the added elements of teamwork and communication. Only some shots are aimed at the center ring (the button) of the scoring area. Other shots might be intended to block the opponent’s route to the center, bump a rock to a new location or knock an opponent’s rock out of scoring position. “People don’t understand it because we make it look so easy,” said U.S. men’s team member John Landsteiner. Sports psychology skills such as anxiety management, goal-setting, visualization, self-talk, imagery and relaxation are useful for peak performance in curling. There also is the element of working with teammates. The stones – Curling stones, also called rocks, weight about 42 pounds. The stones are made from dense granite from a Scottish island. The playing surface – The ice sheet is up to 150 feet long. Water droplets are sprayed onto the ice to give it a pebbled texture much like sand on a shuffleboard surface. Scoring – The team with the stone closest to the bull’s eye (the “button”) in the series of concentric circles (the “house”) gets a point. An additional point is added for every stone in the “house” that is closer to the “button” than any stone of the opponent. Only one team scores at each end of the ice. A game – Games in the Olympics consist of 10 “ends” (where teams throw at the same house). If a game ends in a tie in regulation, extra ends are played until tie is broken. Team members and playing order – Four on a team: the lead (delivers first), second, vice-skip and then skip (captain) shoots. Teams alternate shooting and each player slides two stones. It is advantageous to have the last shot and it is called “the hammer.” The team losing an end gets “the hammer” for the next end. What’s with the sweeping and the yelling? – The skip, who often points to the desired target area to help the shooter, yells instructions to the sweepers. They can speed the stone and keep it going straight by sweeping in front of it to reduce friction by heating the ice. Most sweeping now is done with brushes instead of brooms. One more thing: the person sliding the stone can induce a curved shot. Another equipment note: The bottom of the front shoe of the thrower is slick so it can glide on the ice. History – Curling began in the 1500s in Scotland. Etiquette – Like golf, the sport prides itself on ethical play and good manners. Seattle-area curling – Granite Curling Club, 1440 N. 128th St., Seattle. Club holds open houses to introduce adults and juniors to the sport. Anderson had the curlers take a behavioral-tendencies profile assessment “to help them become more aware of both themselves and their teammates’ needs and styles of communicating.” For example, some curlers find that under stress they need a lot of reassurance while others prefer to have time to process things on their own. Anderson likes working with curlers. Landsteiner said games, which can last more than 2½ hours, can be lost by mental errors and lack of focus. Sports-psychology techniques help curlers stay sharp. Geving said that in addition to helping with game situations, Anderson is helpful and a good listener when it comes to off-ice concerns. 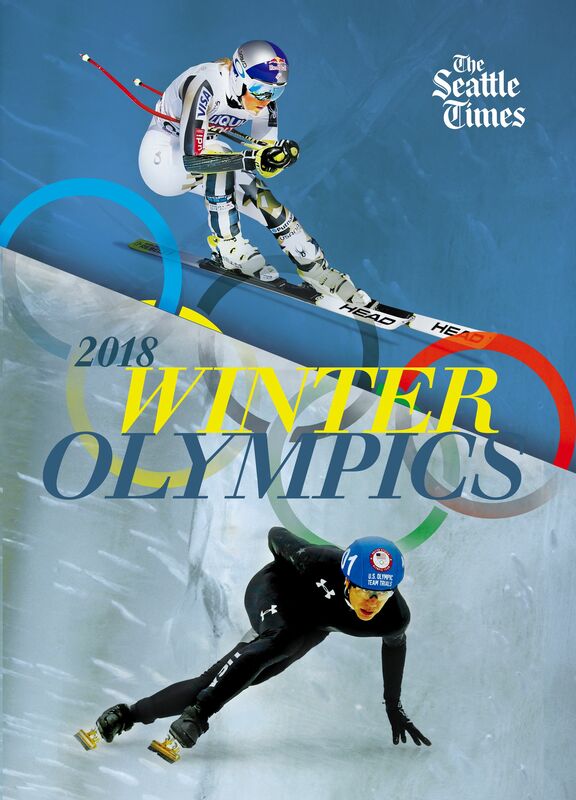 Landsteiner said Anderson helped him when he was trying to balance a full-time engineering job with demands of preparing for the U.S. Olympic trials. Sports psychologists are becoming common in the athletic landscape. The University of Washington has a sports psychologist on staff. Anderson said Navy SEALs use sports-psychology techniques such as imagining themselves in different situations so they can react well on missions. One of Anderson’s tasks is to make sure the curlers are mentally fresh when they arrive in South Korea. “Some studies have shown that athletes can actually get to the Olympics already feeling tired,” she said. Her mantra to the team is “business as usual” even though the curlers will have extra concerns, such as the travel and lodging headaches of relatives. This will be the seventh time curling has been in the Olympics for men, and the best U.S. performance was a bronze medal in 2006 at Turin, Italy. This will be the sixth Olympics for women’s curling, and the U.S. has yet to win a medal. Mixed doubles, a two-person event, is being added in this Olympics. All the U.S. Olympic curlers are from Minnesota or Wisconsin. Anderson, who grew up on Capitol Hill, was recruited to UCLA after 15 years of club gymnastics with Cascade Elite Gymnastics in Mountlake Terrace. She was a co-captain on two national-championship UCLA gymnastics teams. Knee injuries hampered her college career, and she never competed at nationals. Wooden, the legendary basketball coach who won 10 NCAA titles, was a friend of UCLA women’s gymnastics coach Valorie Kondos-Field. Kondos-Field would bring her athletes to Wooden’s residence to talk to the great man. Anderson remembers seeing the stack of love letters on his bed that he still wrote monthly to his late wife, Nell, who had died in 1985. Bruin gymnasts reciprocated the hospitality by doing some chauffeuring and errand-running. Anderson became a Wooden favorite. She was a gracious audience when he wanted to recite long poems and a companion when he wanted to go out for breakfast. She also would make runs to Baskin-Robbins for lemon-custard ice cream. If she were still delivering ice cream to Wooden today, she could keep it cold at a curling rink.